No gaming computer is complete without a nice speaker set to fully immerse your ears in high quality sound. Speakers can really make or break a game experience and I encourage people to get a nice set. Speakers are very easy to setup and you can be listening to all the great action within minutes. A good sound setup will include (at the very least) two satellite speakers and a subwoofer (shown below). For those who want a truly excellent sound system, you can't go wrong with a 5.1 system. Let's start by explaining how speaker setups are named. Let's use the 5.1 speaker setup as an example. The first number (5) indicates the number of speakers in the setup. The number after the period indicates there is a subwoofer included. If you are planning on watching movies or listening to music and want a good sound system, it would be worth the extra money to purchase the 5.1 package. 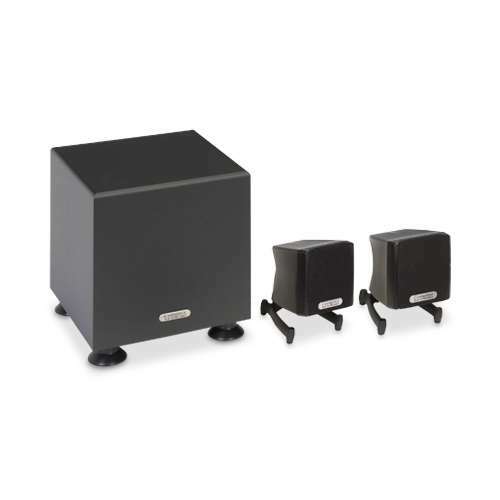 For a great deal on a 5.1 system, look no further than the Logitech Z506 Surround Sound Speakers. At a very affordable price and backed by a name brand, this 5.1 system provides excellent sound quality for all your favorite games, movies, and music. Sound cards are another consideration in the computer sound and audio world. Newer motherboards feature great built in sound and I'd suggest trying this first and if the sound isn't to your liking, go ahead and get a sound card. Sound cards are relatively inexpensive and can make quite a difference in quality when playing games, watching movies, or listening to music. If you choose to go the sound card route, I'd go with the Creative Labs Sound Blaster Audigy SE card. Based on sound quality, reviews, and the price, the Creative Labs Sound Blaster series of sound cards can't be beat. Another important accessory in computer sound and audio are headsets. They provide a great way to communicate with friends online using a chat program, such as Teamspeak or Skype. For online gaming, the Teamspeak program is excellent. For more information about setting up Teamspeak, please see our Teamspeak setup article. Although expensive, Bose makes some excellent headsets with noise canceling technology, however, you can't go wrong with Logitech either. I highly recommend going to a retailer and trying the headset out before you buy. You don't want to find out later that the headphones are not comfortable or the microphone doesn't capture your voice very well. 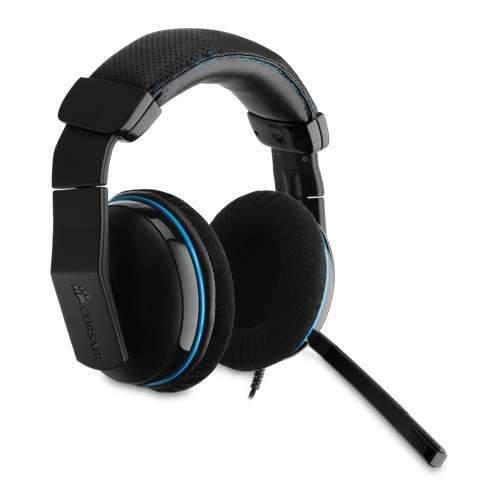 For more information about gaming headsets, please see our article. Installing a sound card is very easy. Before you buy a sound card, be sure you have an empty PCI slot on the motherboard. For a guide on setting up computer speakers, please see our article. 1. Unplug all the devices from the computer and from the wall. 2. Remove the side cover. 3. Insert the sound card into an empty PCI slot and be sure the card is fully seated. You should not be able to see the gold contacts if the card is installed properly. (Please see the Video Card Installation Guide for images of a improperly and properly seated card). 4. Using a Phillips screw, fasten the card to the case. 5. Return the side cover and re-attach the cables to the back of the computer. 6. Plug your speaker or headset green connector to the back of the sound card. If you have a microphone, attach the pink connecter as well. 7. Turn on the computer and if it asks for sound drivers or codecs, insert the CD supplied with the card to install them. 8. Thats all there is to it!